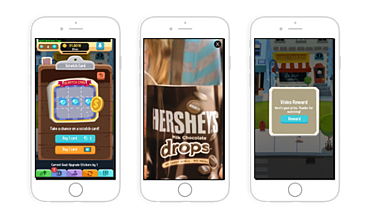 Run video advertisements that achieve 2x mobile ad viewability above Moat and IAS industry benchmarks, with in-app ads that are virtually buffer-free. InMobi specializes in mobile ads with high viewability that build brand awareness, drive user engagement, and achieve top-of-industry standards for completion. InMobi viewability is 2x that of major industry benchmarks, up to 94%. By integrating the deviceʼs native player, we can precache video to deliver a buffer-free user experience that achieves high mobile ad viewability. 2x mobile ad viewability and increased mobile video performance with InMobi — say goodbye to buffering video. As a Moat and IAS partner, our creative capabilities will help you reach new audiences, tailor ads to the right audience using unique device data, and convert customers with engaging rich media.